Add a glamorous touch to any outfit with the Lotus Adiva shoes. 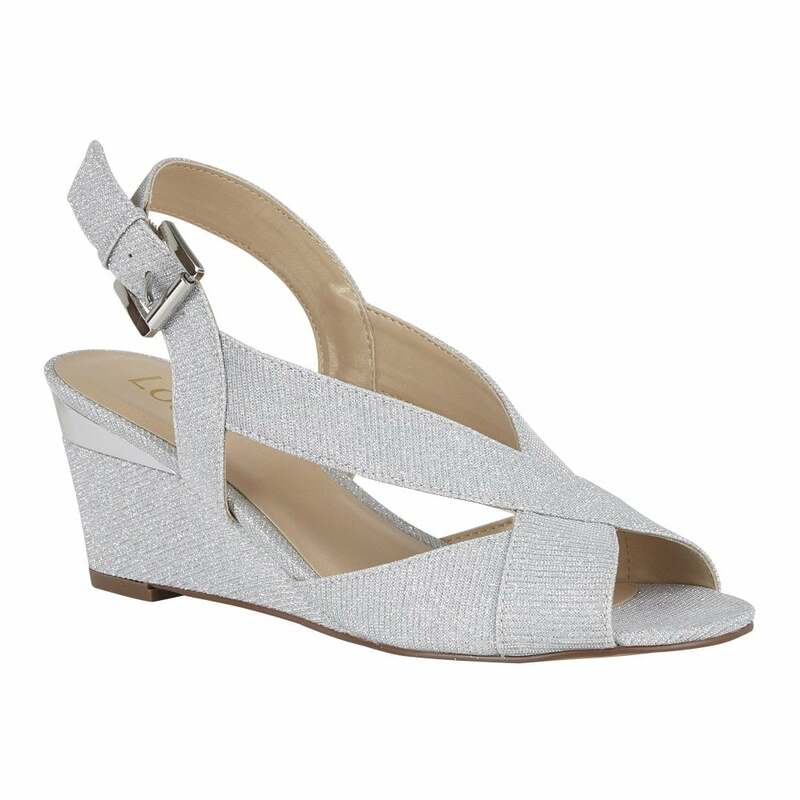 This open toe, sling-back, Lotus shoe encompasses a shimmering silver textile upper and is set on a very wearable 7.5cm wedge heel that is accentuated by polished metal hardware. To complete any special occasion look, team this Lotus ladies’ metallic shoe with the matching handbag Chicory.